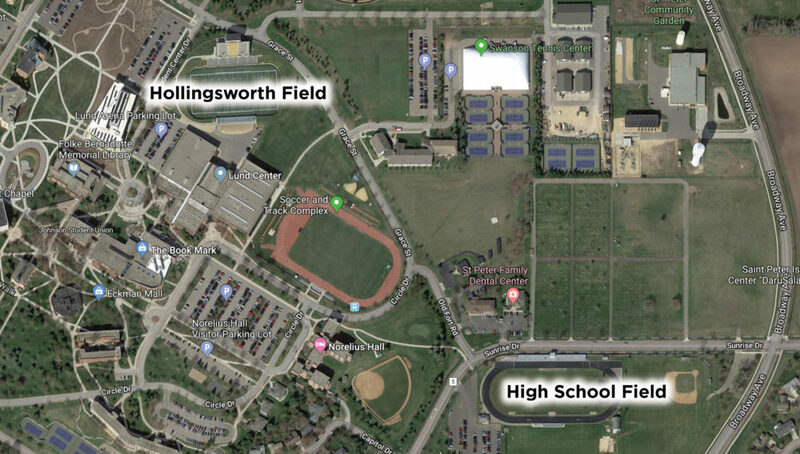 SAINT PETER, Minn. – The time and location of the Gustavus vs. Saint John’s football game Saturday have changed. The Gusties will play host to the Johnnies at 7 p.m. Saturday at the Saint Peter High School football field, which is located directly north of the Gustavus campus. The time and location change are due to new weather policies enacted this spring by the Minnesota Intercollegiate Athletic Conference, which take into account heat and humidity, known as the “Wet Bulb Globe Temperature.” The weather forecast for 1 p.m. tomorrow, which was the originally scheduled start time, could potentially cause significant delays or postponement, resulting in the decision to move the game time to 7 p.m. under the high school’s lights since Gustavus’s Hollingsworth Field does not have lights. Admission to the game is $5 for adults, while seniors (62+), students, and children are free. 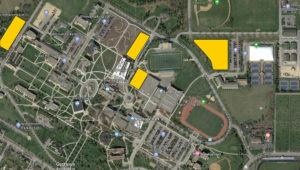 Parking lots marked in gold are available for the football game with a shuttle service running throughout the evening. 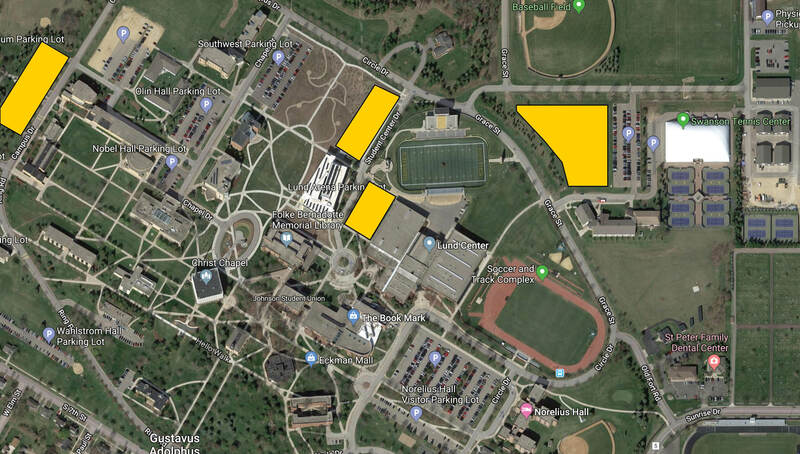 Parking is available adjacent to the football field and in designated parking lots on the Gustavus campus. A shuttle will be in route from the Gustavus parking lots before, during, and after the game. Fans that cannot attend the game can follow along live online.